I don't get many cycling injuries *touches head*, but when I do they are stupid. This is a paper cut I got from opening the packaging on my bike lights. Totally a cycling injury. Ok, so that's an example of a BAD bike paper cut. 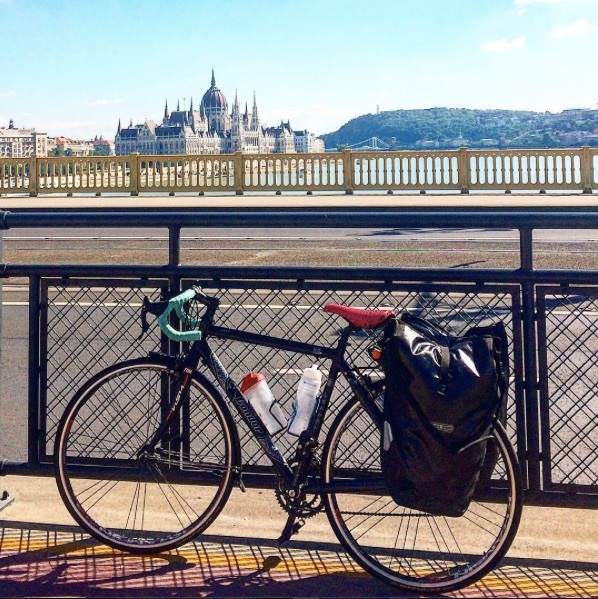 Here is an example of a good one by Katy Beveridge. I'm a big fan of paper cuts, I love Rob Ryan's work and I hang Mexican bunting EVERYWHERE. It's so pretty, delicate and makes the most incredible shadows. 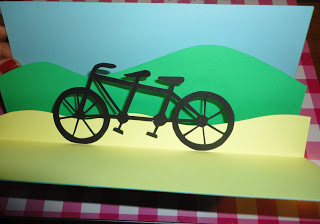 My friend even made me a pop up tandem paper cut card. 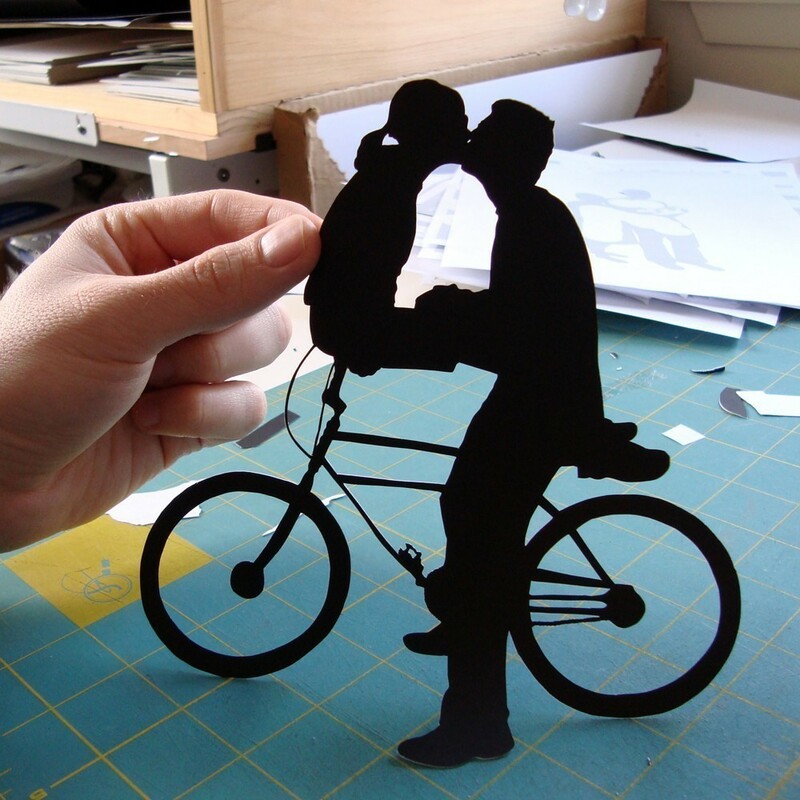 This paper cut of a couple kissing on a bike by Joe Bagley is one of my favourites. Here is a video of Joe cutting it. It's hypnotising.